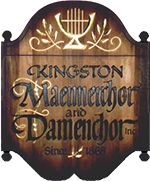 History of the Kingston Maennerchor and Damenchor Inc. - Kingston Männerchor & Damenchor Inc.
Home > History of the Kingston Maennerchor and Damenchor Inc.
History of the Kingston Maennerchor and Damenchor Inc. The founding members were German immigrants drawn together by their common language and their love for music, singing and social activities. The club’s “Washington Hall” became a gathering place for German organizations up and down the Hudson River. Unfortunately some of the organization’s early records were destroyed in a fire so the names of the 61 members at the time of incorporation are unknown. Early names of members include Salzmann, Drautz, Crispell, Weber, Schuster, Graffe, Jacobs, Rupp, Block and Schmidt—names that can be found in the Ulster County area today. With the exception of the WWI and WWII years, membership in the Maennerchor has been maintained at approximately 140. The “Washington Hall” was destroyed by fire during WWI and in 1918 the Maennerchor moved to the McMillen Building on the Strand where their 50th anniversary was celebrated. In the 1930’s the Maennerchor’s current property on Greenkill Avenue was purchased. A new building was dedicated on February 4, 1940. The Maennerchor struggled during the years from the beginning of WWI until the end of WWII. After the end of World War II there was a resurgence of activity, and on February 21, 1948 the 80th Anniversary Concert was held with the Germania Singing Society of Poughkeepsie sharing in the festivities. On May5, 1950 the organization formally changed its name to the Kingston Maennerchor, Inc.
On February 19, 1968, one hundred years after it was founded as the Rondout Social Maennerchor, a new name was adopted–the Kingston Maennerchor and Damenchor, Inc. On this date the Ladies Auxiliary, which had been formed on March 16, 1932, became an equal partner. construction of a forty foot addition was begun. The newly expanded hall was dedicated on May 14, 1978 when the members celebrated their 110th anniversary. It is to be noted that although construction of the shell was contracted out most of the interior work was done by members. Another milestone in the growth of the Maennerchor occurred in the summer of 1997 when the adjacent property to the north was purchased. The building on the site was demolished, the ground was leveled for a parking lot, landscaping was done on the periphery and the property was dedicated on October 11, 1998. This additional property allows for larger Gartenfests, other outdoor events and much needed parking. Part of the longevity of the Maennerchor can be attributed to the continuity of directors that the chorus has enjoyed over the past sixty years. Julius Hochmuth was director for more than 30 years followed by Dorothy Narel for 7 years, Dr John Galish for 15 years, Frank Bosher as an interim director for one year and Jerry Hoch for five years. In October 2011 we welcomed Dr. Dorcinda C. Knauth as our new Music Director. Our chorus presents two concerts a year and has done so continually since 1948. In 2013 the chorus was invited to participate in the Sinterklaas Celebration and sang at the Old Dutch Church in uptown Kingston. The chorus also sings at nursing homes and participates in the Saengerfests (Song Festivals) of the New York State Saengerbund that are held every three years. In June 2003 we were honored to have hosted the 33rd Saengerfest. Since then (2003-20015) we have been awarded First Prize at four consecutive Saengerfeste in the Mixed Chorus 2nd Class competition. The Petition of Incorporation in 1887 stated that the object and business of the organization would be “the mutual improvement of the members through social interests and the cultivation of vocal and instrumental music.” As the Maennerchor has grown over the years, and with more and more non-singers joining, the by-laws have evolved to reflect a growing interest in promoting German language and culture. In that respect, we have hosted two choruses from Germany, we sponsor scholarships for high school seniors studying the German language, we encourage adults to learn German, and host a variety of related events and activities. On June 24, 2006 the US Department of Treasury Internal Revenue Service designated the Maennerchor as a 501c3 not for profit charity. We are grateful to all those who have helped our organization grow over the 146 years of our existence and are proud to be the longest continually functioning ethnic organization in the City of Kingston. 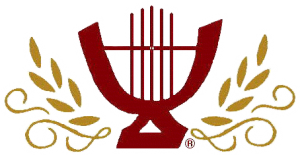 We see the work we are doing today as a strong building block toward keeping our organization and its purpose of promoting and preserving German music, culture and language alive for future generations.